It is imperative that you have professionally prepared Pennsylvania Landlord Forms on hand at all times. You never know when a specific form will be needed and you do not want to be caught without a form that is crucial to a given situation. The American Apartment Owners Association provides professionally created Pennsylvania Landlord Forms that satisfy all your needs for having proper landlord forms readily available. Your lease is the most important document of a landlord tenant relationship. Pennsylvania Landlord Tenant Laws permit rental agreements up to and beyond a three-year term, as provided in Sections 250.201 and 250.202. It is crucial that your lease is much more than just a generic form. With Pennsylvania Landlord Forms, your lease will contain all the information necessary to make the duration and the terms of the lease very clear to your tenants. The written rental agreement, once signed by both you and the tenant, becomes a legal document that is likely to stand up in court, should the tenant breach the terms of the lease. The lease is just one of the professionally created Pennsylvania Landlord Forms available to you. You will want to have ample supply of these forms on hand at all times, rather than taking the risk that you will need a Pennsylvania Landlord Form at any given moment and you do not have it on hand. Get the addendum to the rental agreement to make necessary additions to the lease, without changing the entire rental agreement. The extension of lease form allows you to continue renting to the same tenant past the initial term of the rental agreement. Rent receipts are imperative to have, as is the past due rent notice and notice to pay rent or quit. When you include each of these in your Pennsylvania Landlord Forms, you have proof that you have given the tenant notice to pay past due rent and have satisfied your obligations, pursuant to Article V, Recovery of Possession, Section 250.501, Notice to Quit. Other Essential Pennsylvania Landlord Forms includes the termination of tenancy, mold addendum and smoke detector notices. Pennsylvania Landlord Tenant Law has no statutes regarding giving a required notice to tenants of intent to enter the property to make repairs or improvements to the premises. However, you want to give your tenants a proper advanced notice when you need to enter the property, rather than just showing up unannounced or calling and saying you will be there in twenty minutes. Reasonable notice is considered 24 hours, except in case of emergency. You can provide the proper reasonable notice when you get the notice of entry form when you purchase your Pennsylvania Landlord Forms. It is imperative that you have the move in/move out checklist, which will provide you with your signature, the tenant’s signature and the date. It proves that both of you are agreeing to the condition of the premises prior to the tenant moving in. Upon termination of the tenancy, both of you go through the property again, noting the condition of the property. If there are damages, you have the written signature of the tenant at the beginning of the tenancy, agreeing to the condition of the premises, should you have to go to court to recover the cost of the damages caused by the tenant. The more Pennsylvania Landlord Forms that you have on hand, the less likely you are to find yourself without a necessary form for any situation that arises during a tenancy at one of your rental properties. The American Apartment Owners Association provides landlord forms nationwide. 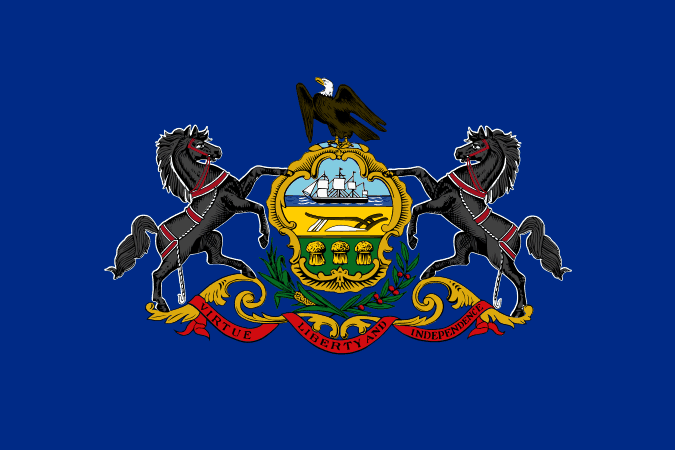 Looking for a state other than Pennsylvania?